When it is about our companies, then we always want the best. Be it the resources, location, work culture, or the candidates, we all attempt to have the best. While other aspects are quite easier to accomplish, it is highly difficult to hire the best talent pool in our organization. This brings the technique of headhunting recruitment to play! Headhunting is a recruitment strategy allowing hiring managers and recruiters to target talented, potential candidates. It is one of the most preferred ways of recruitment for hiring managers and recruiting professionals. With 30% of the market share being highly dynamic, you would consider it easier to find job seekers to your job opening. But, the issue with that dynamic 30% is that, they all are looking for more promising job opportunities and work. Hence, if you want to attract the best talents from the remaining 70%, then the best way to do is headhunting. This is more than sending a LinkedIn message and involves lots of skills and art to approach as well as engage with the potential candidates till they are hired to your job. With headhunting, it is possible for you to fill those assignments and vacancies that are otherwise almost impossible to fulfill. If such projects and job positions are really important to you, then it is essential that you recruit only the best. With Head-hunting, you can do it in much cost-effective manner too. But, despite its effectiveness, large numbers of recruiting experts fail to avail lucrative results from this strategy. Headhunting appears awkward and failure to them because they are not able to sound credible and appealing. To help them out, we have prepared a comprehensive list of the best headhunting tips and techniques, which will help you to find the suitable candidate for your job opening every time. 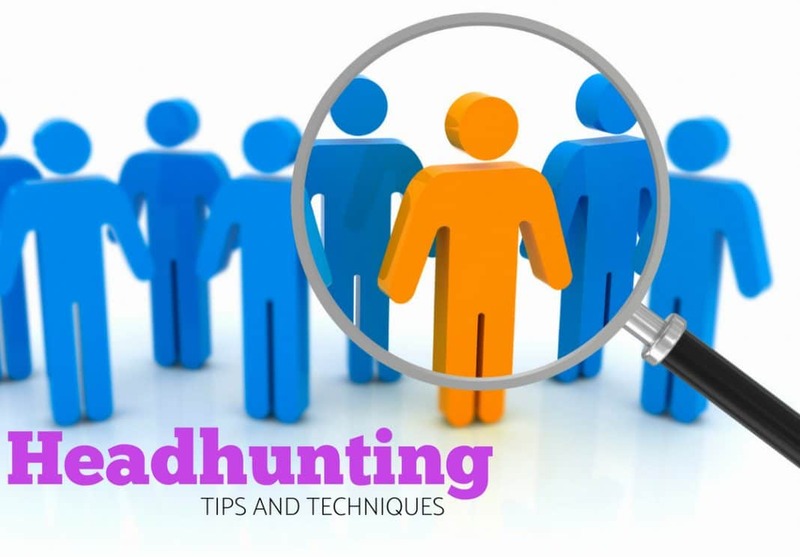 Headhunting process is considered one of the effective hiring strategy used for selecting an d recruiting top talents. Though it is one of the best recruiting method, the effectiveness of it depends on the recruiting manager who is using it. There are times when this headhunting process has turned out to be a complete failure due to the inability of the recruiter. Recruitment is a continuous process and finding the right people suitable for the job is not something easy. Every company desires to hire the best employees for their workplace. But finding best people is not that easy as most of them would be already working. So the only solution left is to find and screen the rest of the top performers. Though there are many ways to do so, one of the effective and fastest method is to make a call directly and talk to them. This is not something new, so how can you make it more effective. Moreover there is a myth among people that headhunt call is something like a dark art . So first of all, let me make it very clear that headhunt call is nothing different to regular call. You just to need to have a little plan and practice to make it effective. Here are top 10 tips for making successful head hunt calls. 7. Try and identify the potential hooks related to the person. 10. Set minimum outcome for greater results. Headhunter is an interesting job profile. Nowadays though there are many sources for finding candidates such as social media network sites, job boards, portals etc, we are not able to get the desired candidate. The main reason for this is that having access is not enough to attract candidate toward your job profile. You need to provide details that will excite them and tempt them top at least give it a try. Before you begin searching for the talent and contacting them, you need to give a clear definition of your job role. The job role must highlight vital details, such as career requirements, skills needed, career advancement opportunities, and proposed salary package. With such information in hand it would be easier for you to narrow down the search. This will offer you a better idea about the type of candidate you are looking for. If you don’t define the job role clearly then, it will be difficult for you to search the best candidate from the wide options available. If you have more details and knowledge about the job position, then it will be easier for you to target the potential candidates. Finding such information is very easy, as everything is obtainable from the company’s website. You can check for the link on the company’s site and avail the necessary information. So, prepare yourself well to ensure, you are able to target a candidate easily. One of the most vital duties of a hiring manager or a recruiter is to use headhunting wisely. For this, it is essential that you gain complete knowledge and research well about your potential target. You must be expecting high from your headhunting technique. Only then you will be able to obtain a list of impressive candidates to your employer. You need to offer professionals who are not just good but are exceptional. For this, you may begin with talking to other people in your network. Another way to research about the target is to use social media account as well as other possible ways to research about their background. The best sources of information are people around you or those who have worked with that professional. Use them as your efficient source of target information. For particular roles, you must be communicating with those whom you think are relevant to gain information. This way you will be able to enhance your target list. Once you are confirmed that the candidate is ideal for your job and the best fit, then you can begin with the further process of headhunting. When you begin your first interaction with the target then you have very limited space to create an impact on him or her. Make sure, you use the opportunity wisely and attempt to create only a positive impact. You only have few moments of the conversation to attract the target. Hence, make a positive impact. This would be easier for you to do if the role is absolutely as per the target’s choice. A good preparation can help you do the job in an efficient way. If you are approaching the target with an irrelevant role then you will appear amateur. Calling with the right role and making a positive impact will make things work in your preference. Candidates are always interested to know about the companies and would prefer switching jobs when they are reaching to a company that they are familiar with. The recruiters can win over the candidates by offering them enhanced visibility of the company. This will ensure that when you approach a candidate they are already familiar with it and would like to listen to the pitch. If you are not able to connect each candidate on call then spend more time on LinkedIn sharing messages and posting information from the website of the company. The candidates may find headhunting slightly weird, particularly when they are not aware about this recruiting technique. Also, if you practice it swiftly then it will never create a lasting impression on the candidate. Consider yourself in the candidate’s place. You would feel great when someone approaches you with a wonderful job opportunity but sounds little Spam and unclear. Hence, plan a more tactful method. You can begin with introducing yourself and talking about the company. Then talk about the skills you liked about the candidate. This will generate some interest and will make them keen to know more about the position. Take advantage of this opportunity and become more open about your pitch. Everyone likes to know what others find well about them and why they are regarded just perfect for the role. There is no harm in sounding little appealing to the ego of your targets. You can always personalize the role a little bit to make the candidate feel that he is the perfect fit for the job. You can always relate the job requirements with the skills of the candidate. Hence, act little flattery and if there is need then appeal to their ego, especially when you don’t want to miss out the candidate. A rejection from the candidate can be more common than you may consider. Don’t be surprised if tons of candidates reject you. It is mainly because they don’t want to experience the challenges of a new job. But if you want to cultivate things then always follow up with such people as there are possibilities that they may change their mind. When a candidate rejects your offer then this might be also due to unavailability of time to express the interest. If you identify any such condition through the call, then ask their permission to contact them again. Practicing head-hunting this way can be time-consuming, but it can pay great returns in the future. During the search process on a target, you must try to identify any potential hooks, which might exist with that person. For example, Is their department on the top or they might not be able to influence others. You may include this and more such statements into your opening statement to gain attention for the candidate. At the same time, present the candidate with suitable information stating that why the role can be a great opportunity for them. When you are able to present the candidate that why this job opportunity can be great for their career, then this will reduce greatly the chances of rejection. When you are offering the job to the target then you might want the candidate to be equally enthusiastic and eager about the whole thing. When you approach someone with a good opportunity then you can be a little pushy. How pushy you are, totally depends on you. There can also be situations when you have come up with numerous creative recruiting strategies to approach candidates. Enthusiasm is needed, but you may also sound pushy. Offering a candidate respect is an important thing. You must provide them the space to reject your offer. Just remember one thing that, whenever you are approaching a candidate you are showcasing the company’s culture. If you will be too pushy then this can make the candidate assume that the company’s culture involves same pressure. Hence, he will think twice before applying for the post. An important tip to remember during headhunting is to have as much knowledge about the role as possible. Most of the recruiters have just a brief of job requirements with them. They don’t possess much knowledge about the job role. So, when a candidate asks them certain questions they fail to answer them efficiently and convincingly. If you are headhunting then you need to be excellent at your job. The candidates must be convinced of what all you are saying. For this, you can speak to the manager of the specific department and gain knowledge about the role. Incorporate that information into your process to appear well-prepared and informed. You may not be able to turn the candidate every time you call them and communicate with them. There are numbers of things that matter to reach a final decision. But one thing that you can work out is to identify your mistakes in the past call. Might be you missed talking about the company, or you forget highlighting the candidate’s skills. There could be endless things. So, just learn from your past calls and make sure you don’t repeat the mistakes again and again. This way you will soon combat all the errors and become an expert headhunter. Bring your mind into a state of self-confidence. This is useful in not just making calls, but also to know more about the person you are speaking with. If you are confident about what you are saying then it will be easier for you to convince the target. This is an art and a skill that can be learned as well as enhanced over time. Just make sure that you don’t appear over-confident and boastful about your company. This one is very simple. All you need to do is approach the call correctly. This will make the target happy and he would be interested to speak to you as well as keep in touch with you. This is another important headhunting tip that can save you lots of efforts and pain. Although most of the candidates don’t, but there is certain pool of candidates who may lie about their work record, position, salary, or other details on the CV. To avoid any issue, it is better to confront the target and talk to his references about the same. Being thorough with all the details will help you offer better candidates to the clients. This will also improve your goodwill to a great extent. Mistakes are bound to happen , but recruitment is one such sector where mistakes are not at all acceptable. Wrong hires can cost the organization a lot not only in terms of money, training but also time. You can gain success with headhunting only when you use it properly and efficiently. Making each target feel that you are offering them a wonderful and appropriate opportunity is the way to succeed. Once you gain expertise in this, you will be able to hunt suitable candidates more easily and in the shorter time period. Previous articleRacial Discrimination at Workplace – How to Avoid?